Looking for an easy DIY gift idea for the holidays? 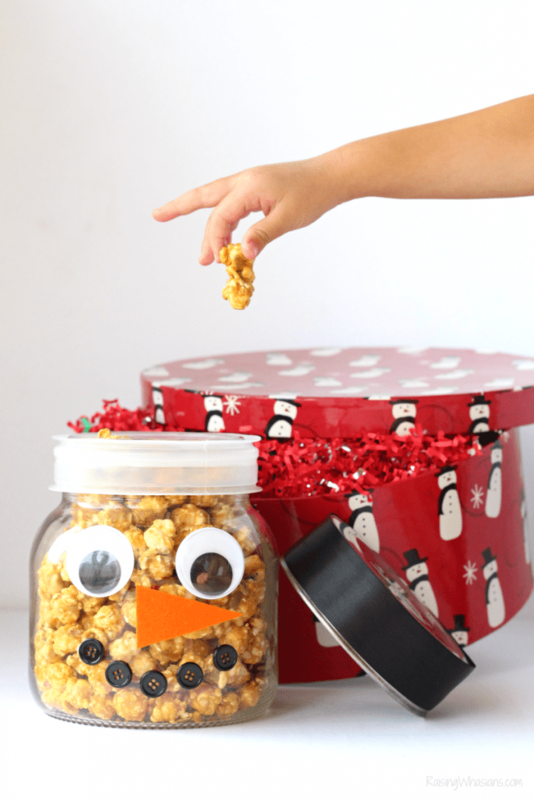 Try this DIY Popcorn Snowman Jar – a yummy holiday snack & Christmas decor in one! This post is sponsored by G.H. Cretors. All delicious opinions are my own. It’s the most favorite time of the year – the season of giving. We absolutely LOVE giving Christmas gifts to say thank you to our family, friends, teachers and all of the wonderful people in our lives. But finding the perfect gift for everyone on our family’s list – that’s the challenge. Striving to make sure that every gift is unique, special and made with love doesn’t have to be complicated. 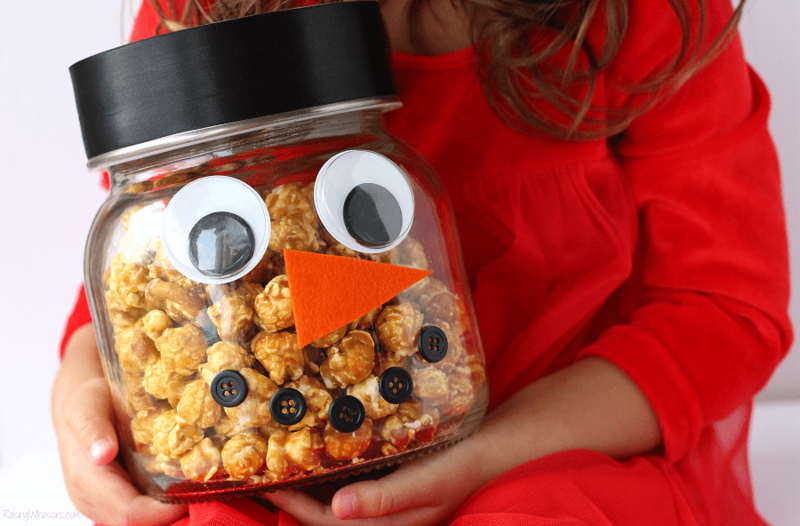 It can be simply adorable with this DIY Popcorn Snowman Jar. See how this easy 5-minute DIY can really step up your holiday gift giving this year, filled with delicious limited edition G.H. Cretors Popcorn. Holiday gifting is NOT easy for this busy mom. When the gifts lists are long and the to do list even longer, I don’t always have time to shop for that special gift. When in doubt, I give food! Nothing says holiday love like a delicious gift. And that’s why I only give the best during Christmastime. G.H. 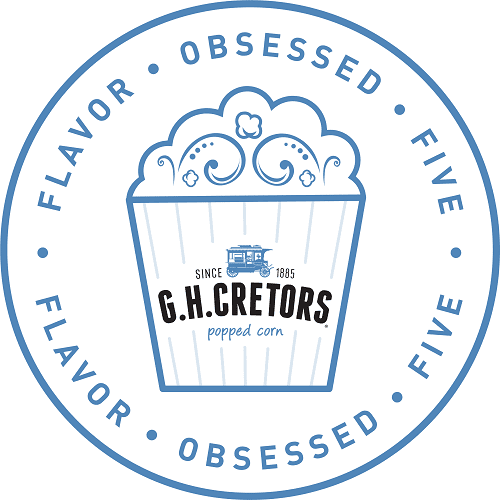 Cretors is here this holiday season with limited edition popcorn flavors for everyone on your nice list. Perfect for holiday snacking and gifting, G.H. Cretors popcorn always gives me peace of mind during the holidays. Check out which flavors I’m giving this season. Forget PSL! PSCC is in this season. Caramel corn, pumpkin seeds and walnuts all covered with delicious pumpkin spice flavor make this limited edition G.H. 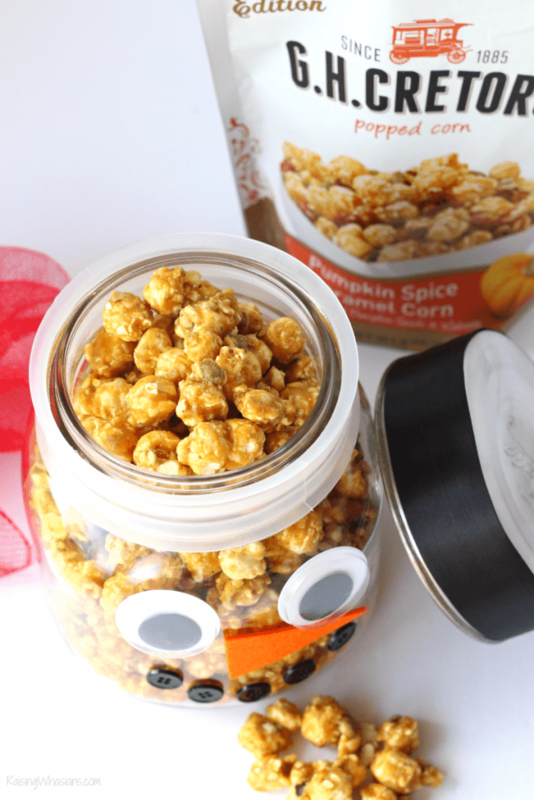 Cretors Pumpkin Spice Caramel Corn a must-have for the holidays. I love the added pumpkin seeds and walnuts for extra crunch and protein power (because holidays can be exhausting, am I right?). Nothing says the holidays like salted caramel! G.H. Cretors has stepped your holiday snacking with the perfect touches of sweet and salty. Everyone on your nice list will appreciate the flavor combo in this limited edition G.H. Cretors Salted Caramel Popped Corn with Pretzels. No holiday inspired popcorn treat would be complete without a fun themed container. Why buy when you can create your own piece of holiday joy? Up your DIY skills this Christmas with this Easy DIY Popcorn Snowman Jar, done in under 5 minutes! This cute snowman jar completes your delicious holiday gift idea and doubles as a great holiday decor addition too. Ready to make your own? Here’s how! Measure and cut your black ribbon to wrap around the jar lid with a slight overlap. Glue or tape in place. Now let’s make your snowman’s face. Glue/tape your snowman’s eyes towards the upper portion of the glass jar, leaving about 2 inches in between the eyes. Cut your orange felt into a triangle snowman nose. Glue/tape in place under the eyes. Arrange and glue/tape your black buttons into a snowman smile under the nose. 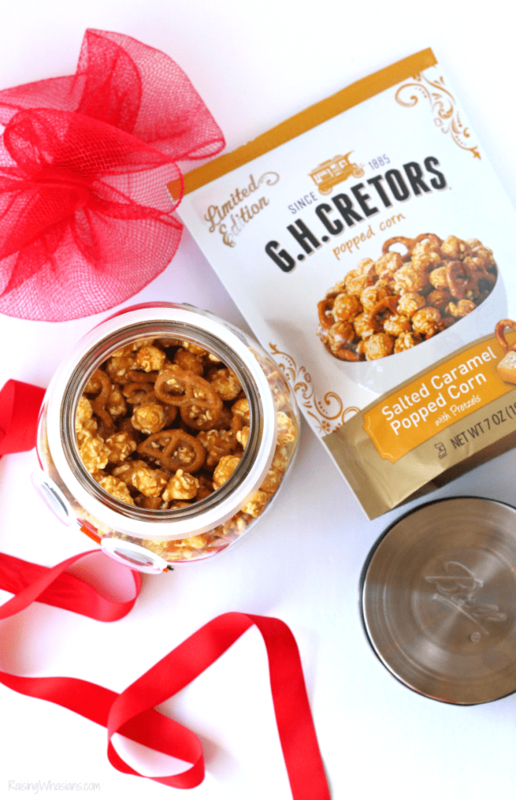 Fill your jar with your favorite holiday inspired treat, like limited edition G.H. Cretors Pumpkin Spice Caramel Corn or Salted Caramel Popped Corn with Pretzels. Give as a FUN holiday inspired gift – definitely will put a smile on anyone’s face this holiday season! I think the best part about this easy DIY is that after you get to enjoy the delicious popcorn inside (I mean that ALONE would be an amazing holiday gift! 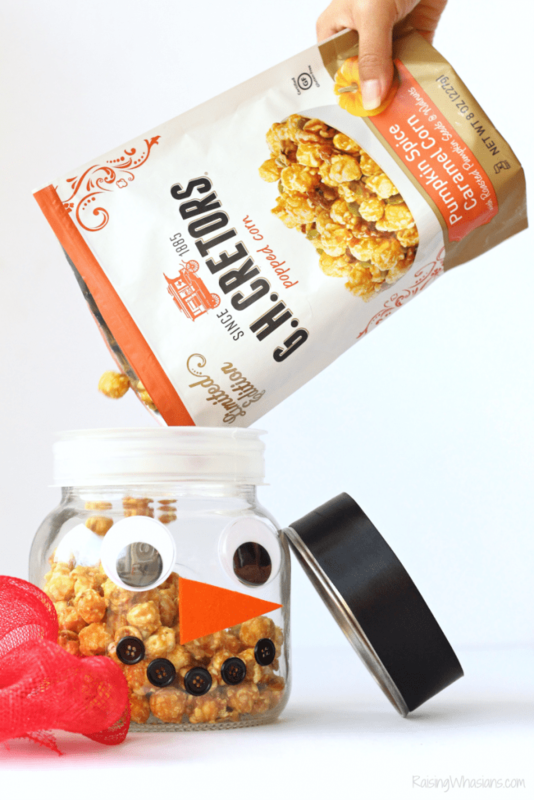 ), you can reuse the DIY Snowman Jar as a fun holiday decor piece around the home or re-gift with even more delicious popcorn – the gift that keeps on giving. Grab your limited edition G.H. Cretors Holiday Inspired Popcorn at your local G.H. Cretors’ retailer before they’re gone for the season. These holiday inspired flavors make a delicious holiday gift! And be sure to follow G.H. Cretors via Facebook, Twitter, Instagram and Pinterest for delicious popcorn inspiration, new flavors and more. 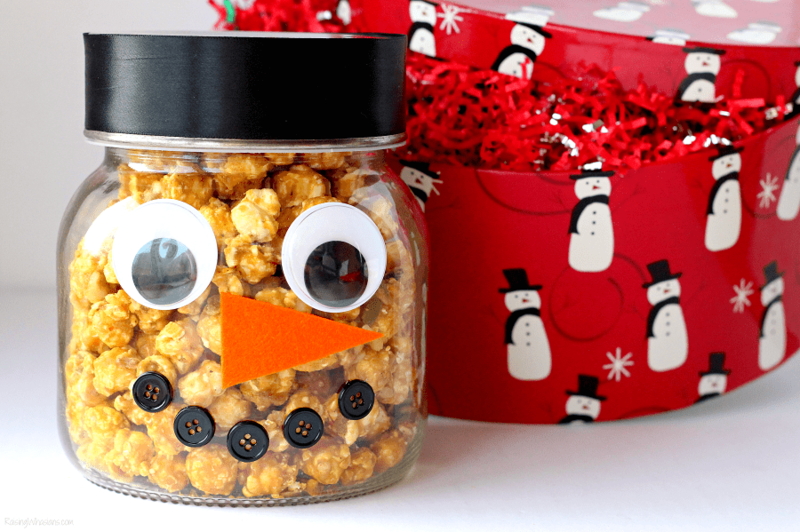 Who would you gift this easy DIY Popcorn Snowman Jar to this holiday season? Be sure to follow Raising Whasians via Facebook, Twitter, Google, Instagram, Pinterest and YouTube for crafty ideas, easy recipes, parenting tips and more. I love G.H. Cretors popcorn, what a fabulous Holiday gift for Teachers… the only tough part is going to keep from eating all the popcorn myself. I LOVE this! This jar is so super cute, and you picked the PERFECT popcorn to fill it with. I get G.H. Cretors all the time. 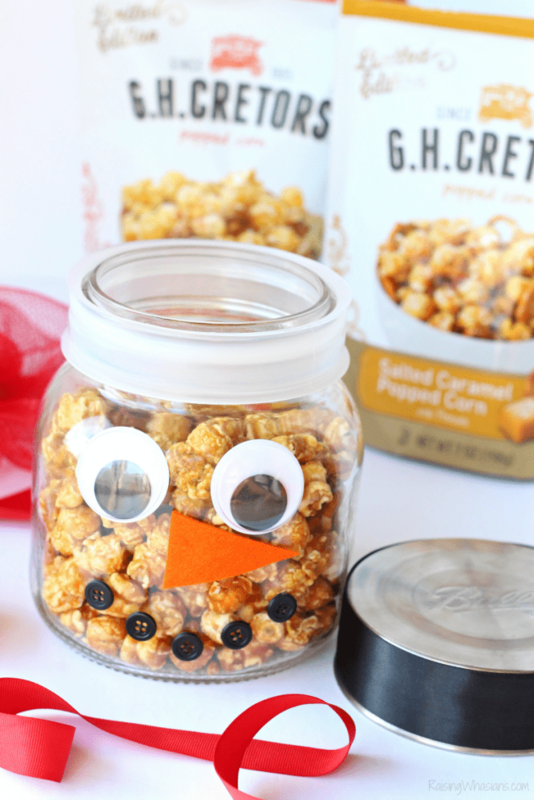 I love the idea of making my own Holiday jar using GH Cretors popcorn. I like the kids helping. What a fun gift idea. I would love to give these to some friends this Christmas. This is such a wonderful gift idea! Some good salted caramel corn would be amazing right now. 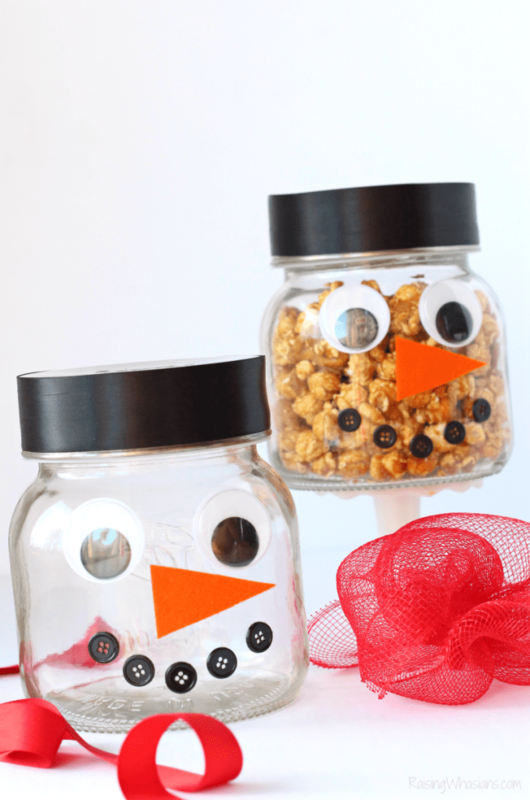 What a cute idea to make a DIY popcorn snowman jar. This would be perfect for Christmas style decor as well as gift giving to the family. I will be making at least one this year, easy enough to do! This is so cute! I love popcorn during Christmas, and it is always a great go-to gift idea. This is such a cute gift idea. And that popcorn is the best! I buy it every time I see it. Such a great idea for the holidays! The snow came out so cute! These are so so so cute!!! I love how easy and custom a gift like this is to give, plus it’s delicious too! I really love jar gift ideas. They are great for neighbors and friends. These are super cute and thoughtful! I can make these with things I have around the house! What a lovely gift or a snack for the kids at home or during movie night! It’s not difficult to make so you can easily make this at home! Love it! This is such a cute DIY gift idea. I will suggest this to my daughter so she can make some to give to her friends. I am sure they’ll love the popcorn and pretzels and the jar could be re-purposed for something else later. I love this idea and it looks so easy to make. Thanks for the festive idea! This truly makes a cute and thoughtful gift for someone! 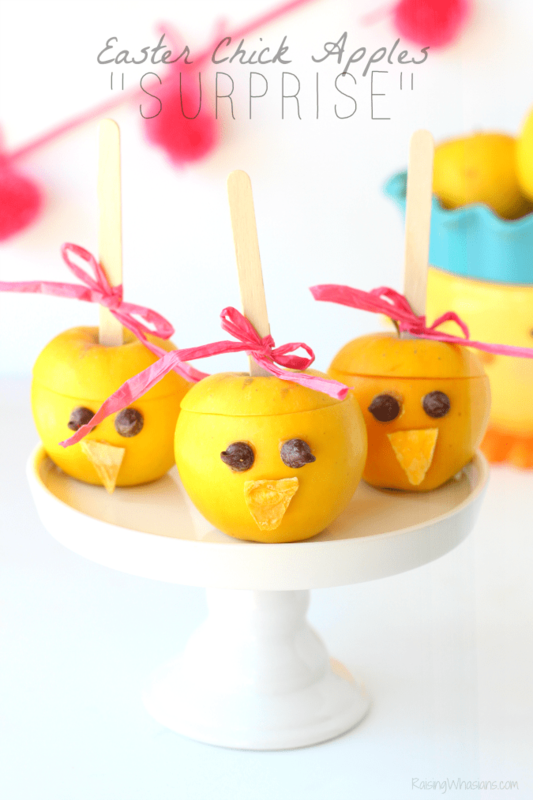 A teacher would love this cute treat! So cute and pretty easy to do too!